‘One of the best acts ever seen… Fun for all the family’. Following a smash hit run at the Edinburgh Festival Fringe 2017 and as seen on ITV’s Royal Variety Performance, Circus Abyssinia makes its London premiere at Underbelly Festival for six weeks only. As circus marks its 250th anniversary this year, Circus Abyssinia: Ethiopian Dreams is a jubilant celebration of circus itself that will mesmerise audiences of all ages through the sheer infectious energy and spirit which fly from its cast. 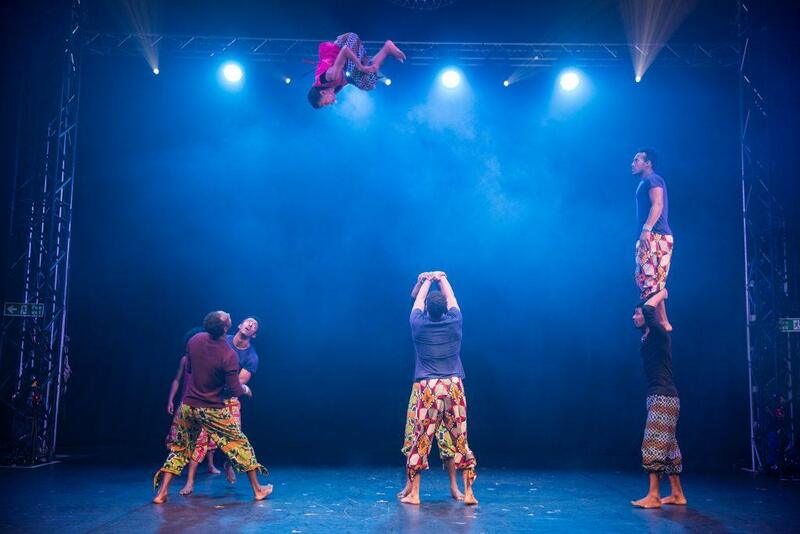 Written by Cal McCrystal, Circus Abyssinia: Ethiopian Dreams is an unashamedly joyful mix of astonishing stunts, astounding circus skills and enchanting adventure. The show dramatises in surreal, often comic and mostly wordless ways, the magical true tale of two Ethiopian brothers, Bibi and Bichu who dreamed as little boys of joining the circus, and stages the journey of how their dream came true. Performed from the perspective of the young brothers, through the universal language of circus, the show mixes autobiographical and fictional narratives to tell how the Bibi and Bichu became world-class jugglers. Underbelly Festival audiences will be plunged into a world of daredevil wonders as they encounter a host of other circus dreamers: dancing, contorting, gravity-defying figures, all weaving tales of their own. The inimitable Circus Abyssinia Troupe, a team of dazzling and prodigiously talented acrobats from Addis Ababa in Ethiopia, whose reputation for bold and vertiginous acrobatic displays are both awe-inspiring and heart-stopping to watch. The multi-talented and incredibly versatile Circus Abyssinia Troupe celebrate the birth of a new Ethiopian tradition through a breath-taking range of circus skills including; human juggling, hand-vaulting, contortion, cloth spinning, Cyr Wheel, clowning and the astonishing eight strong double Chinese Pole act. Fusing theatrical storytelling with astonishing stunts, the show combines the arts and innovations of contemporary circus with Ethiopia’s artistic heritage to create one of the world’s first full-blown Ethiopian circuses. Surrealist and joy-driven, accompanied by a soundscape that draws on Ethiopia’s rich musical past and present, Circus Abyssinia: Ethiopian Dreams is a transformative celebration of circus itself. From humble beginnings, Bibi and Bichu learnt their skills at a young age busking and tumbling for crowds in the city streets of Jimma, working tirelessly to master their craft and realise their dreams of joining the circus. Now world-renowned jugglers they have performed in thousands of shows in countries all over the world ranging from Japan to Germany. Bibi and Bichu discovered the incredible Circus Abyssinia Troupe acrobats at Circus Wingate, a circus school they have sponsored since 2010 as part of their ongoing commitment to support the development of Ethiopian circus in an effort to repay the kindness they received from other artists in their own careers. The troupe’s burgeoning circus careers have changed their lives and the lives of their families for the better in very real, significant ways: most were living in poverty until 2015. The brothers who now reside in the UK were also resident jugglers at the acclaimed Giffords Circus from 2002 – 2016, touring for 11 seasons throughout the south of England. 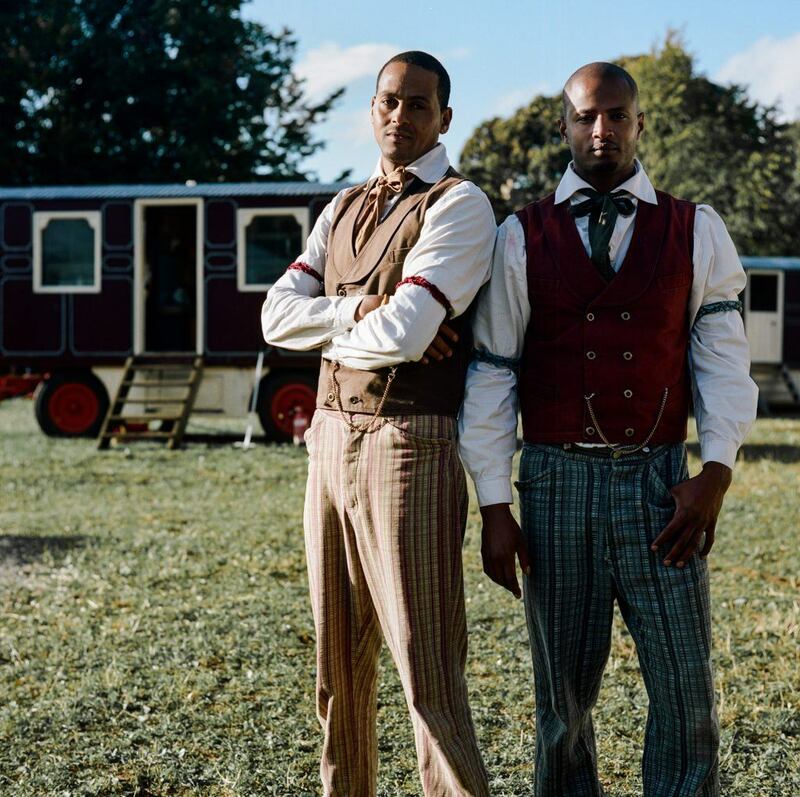 It was during their time with Giffords, performing as part of Moon Songs in 2015 alongside renowned stage and screen director Cal McCrystal, that the brothers found their inspiration for Circus Abyssinia. The new show unfolds with a dreamlike sense inspired by the 2015 production but the driving force behind the performance is the transformative magic of circus itself, and all its acts play with the possibility that such magic and energy are forces that can be mastered. Circus Abyssinia: Ethiopian Dreams is a surreal retelling of how the cast dreamed of the circus in a country without one and created a phenomenal new Ethiopian tradition. The show is an unmissable event for children and adults who will love the extraordinary physical feats of strength, dexterity and fluid grace, and the reminder that, when we work together and fight for them, dreams are for there for the taking. When they were little, Ethiopian brothers Bibi and Bichu dreamed of joining the circus. But the odds were stacked against them: despite the extraordinary talent that abounds in the country, the absence of circus in Ethiopia means that most acrobats never get to perform for a living. At 13 and 14 years old, they discovered their extraordinary talent for juggling, and came to England in 1998 as part of one of the first Ethiopian troupes to tour Europe, performing to rave reviews and critical acclaim at Brighton Fringe. They returned in 1999 to make their home in England, and to pursue their shared childhood dream of joining the circus by participating in the UK’s thriving circus scene. They trained at the National Centre for Circus Arts, where they met Sean Gandini, director of Gandini Juggling, who cast them in the Millennium Dome celebrations, Big (2000), and later, in Smashed (2012 and 2016) and Mozart’s Glow (2017). Sean has been a friend and mentor to them ever since. Over the years, Bibi and Bichu have met with more success than they ever dared hope for. Their performance credits range from the most family friendly to the radical to the prestigious: from the gleeful abandon of CBeebies’ ‘Justin’s House’ to the avant-garde experiments of Gandini Juggling, to the stunning English National Opera production of Akhnaten, which won an Olivier Award in 2017. Interspersing live gigs with numerous TV appearances, Bibi and Bichu have juggled on the BBC, ITV and Channel 4, on shows including ‘The Paul O’Grady Show’, ‘Ant and Dec’s Saturday Night Takeaway’, and ‘Blue Peter’, breaking world records along the way. They were also resident jugglers at Giffords Circus from 2002-2016, touring for 11 seasons throughout the south of England with shows that told and retold stories through the medium of circus. And they’ve just wrapped the filming for Big Ears, Tim Burton’s live action remake of Dumbo, in which they’ll feature heavily in the circus scenes. Bibi and Bichu’s future plans include expanding the cast and scaling the show up even higher by bringing over more acrobats from Circus Wingate. Long term plans for the company also include holding workshops for refugees, and, in the more distant future, setting up a circus school for budding circus artists in the UK’s migrant communities. The Circus Abyssinia Troupe was founded in 2005 and trained by former Ethiopian gymnast coach Solomon Tadese. Most of its members joined as children, and have retained an attitude of childlike joy and wonder towards their craft which makes watching every performance feel like a celebration of being alive. The troupe toured the south of England (Gloucestershire, Oxfordshire and Chiswick) for two summers (in 2015 and 2016) with the highly acclaimed Giffords Circus. They are renowned for their breathtaking feats of hand-vaulting and human juggling, and the troupe’s two precocious youngest members have raised roofs with their juggling skills and intrepid high-flying acrobatics. The four female members of the troupe have thrilled audiences with mesmerising acts of cloth-spinning and sinuous contortion, whereas the male members’ specialty is an eight-strong, double Chinese pole act, in which the acrobats dash up and down twin poles, dropping and soaring the vertical heights in a breathtaking game of one-upmanship. Daniel’s clowning routine is also one of a kind: involving audience participation, and based on a style of physical comedy more akin to mime than slapstick, his is a form of silent clowning which makes earthbound mockery of the dangers the troupe dice with as a whole. Every member is multi-talented and incredibly versatile, able to turn their hands (and feet!) to all manner of circus skills, from human pyramids to foot juggling. What makes the troupe truly extraordinary is its brilliant magnetic rapport, both with each other in the ring, and with the audience. This is nowhere more apparent than when the whole team performs a hand-vaulting act comprising precarious balances and near-collision, all executed with an abandon that belies the level of skill which makes such uninhibited acrobatic display possible. Underbelly is a UK based live entertainment company, its festivals and events division produces a number of events annually, including Underbelly at the Edinburgh Festival Fringe, Underbelly Festival on London’s Southbank, Udderbelly Festival Hong Kong, Edinburgh’s Christmas and Edinburgh’s Hogmanay on behalf of the City of Edinburgh Council, Christmas in Leicester Square, Pride in London and, West End Live in Trafalgar Square on behalf of the Society of London Theatre and Westminster City Council. 2017 marks their fifth year producing Edinburgh’s Christmas for the City of Edinburgh Council, and their first year producing Edinburgh’s Hogmanay (also for the City of Edinburgh Council), one of the world’s leading New Year Festivals lasting three days in Scotland’s stunning capital city drawing an estimated 150,000 people from Scotland and around the world. Through its Underbelly Productions arm it produces and promotes live theatre in London’s West End, throughout the UK and on tour internationally. 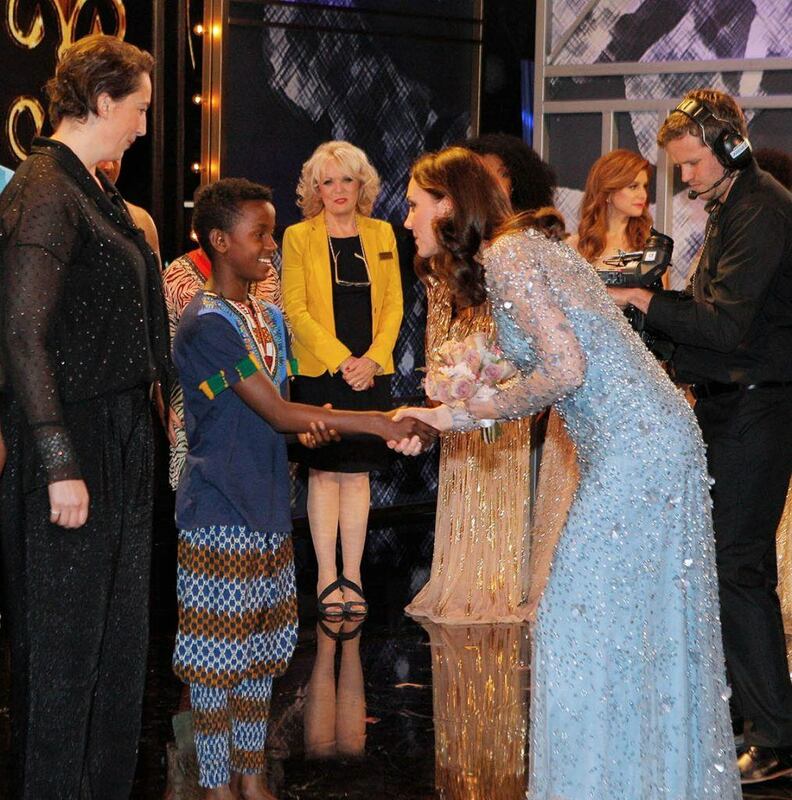 Focusing on revivals of plays and musicals as well as commissions, their credits to date include, a revival of Clarke Peters’ Five Guys Named Moe in association with Cameron Mackintosh and directed by Clarke Peters’ himself, performed in a specially constructed theatre at Marble Arch; Frankie Vah by Luke Wright at the Edinburgh Festival Fringe; and Big Fish at The Other Palace. In December 2017, Underbelly Productions brought improv group Austentatious to London’s West End for the first time. In 2017 Underbelly sold over 1.3 million tickets to their various events.